It's located in the middle of the jungle, and you have privacy. The facilities are good and the washing machine is a good extra. Lopo the roomboy is really helpful, and unobtrusive. We liked it here, we would definitely come back. Lopo was lovely and helpful, the villa was amazing and having a washing machine was an added bonus. The villa was peaceful and the pool lovely. Getting breakfast made for us each day. Staff friendliness . Private pool. Beautiful location - a scenic short walk to many restaurants and locations. 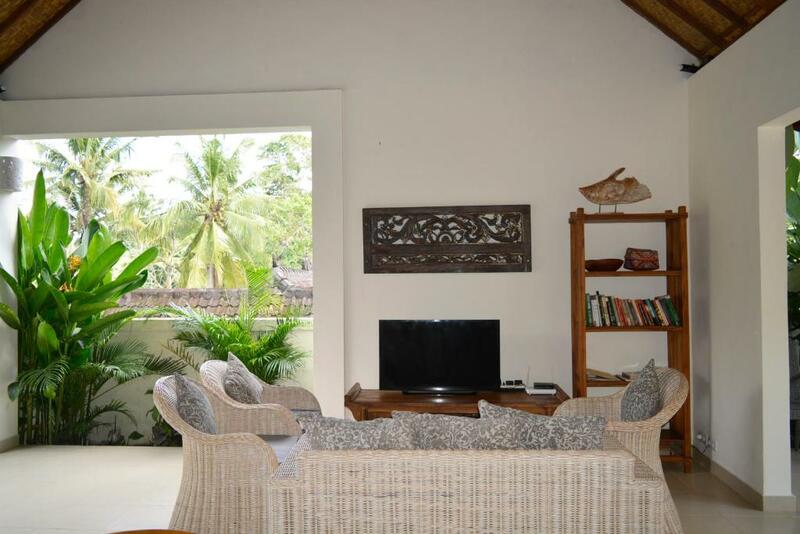 Gorgeous villa - felt luxurious and comfortable, large plunge pool and gorgeous gardens/rooms. Villa staff - Lopo was very friendly and helpful. Wifi, laundry facility, large kitchen - all great. La villa est bien positionnée. Elle est en retrait de la route et il y a moins de trafic dans cette rue. Il y a de nombreux équipements dans la maison, elle est propre et fonctionnelle. Wayan est très gentil et il peut aider les touristes sur les excursions. Le personnel : souriant, aimable, très professionnel Villa spacieuse et propre. Son équipement lave linge entre autre. Et sa piscine ! Henkilökunta oli todella ystävällistä, tulivat joka aamu villalle siivoamaan ja kokkaamaan aamupalan. Todella siisti ja hieno huvila, ja oma uima-allas oli kyllä kiva. 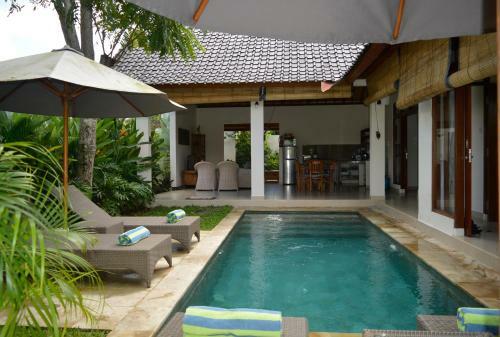 Lock in a great price for Villa Hijau – rated 8.9 by recent guests! Villa Hijau This rating is a reflection of how the property compares to the industry standard when it comes to price, facilities and services available. It's based on a self-evaluation by the property. Use this rating to help choose your stay! Featuring a garden, an outdoor pool and pool views, Villa Hijau is located in Ubud. The property is a 5-minute walk from The Blanco Renaissance Museum and 0.6 miles from Neka Art Museum. 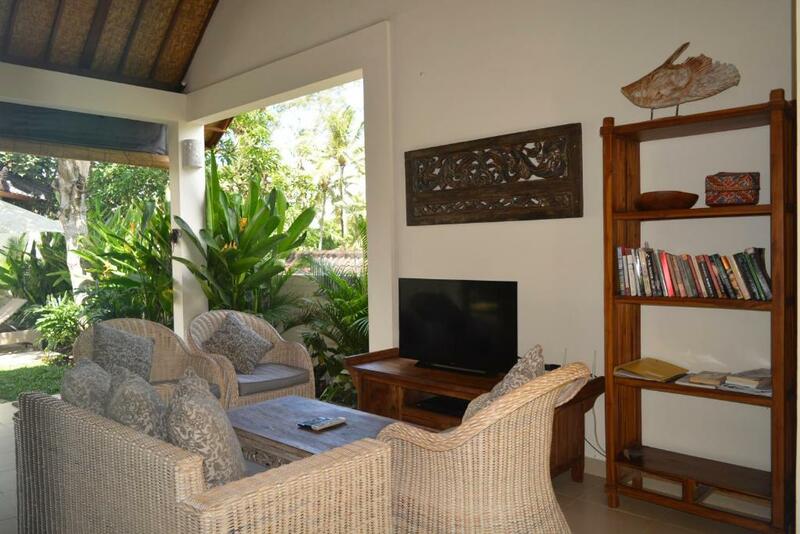 With free WiFi, this 2-bedroom villa has a satellite flat-screen TV, a washing machine and a kitchen with a microwave and toaster. 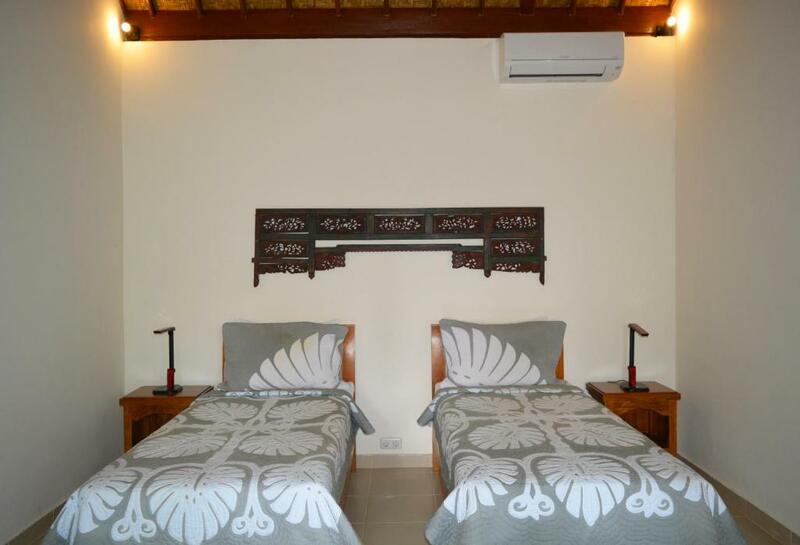 The air-conditioned villa also provides a bathroom with a shower. 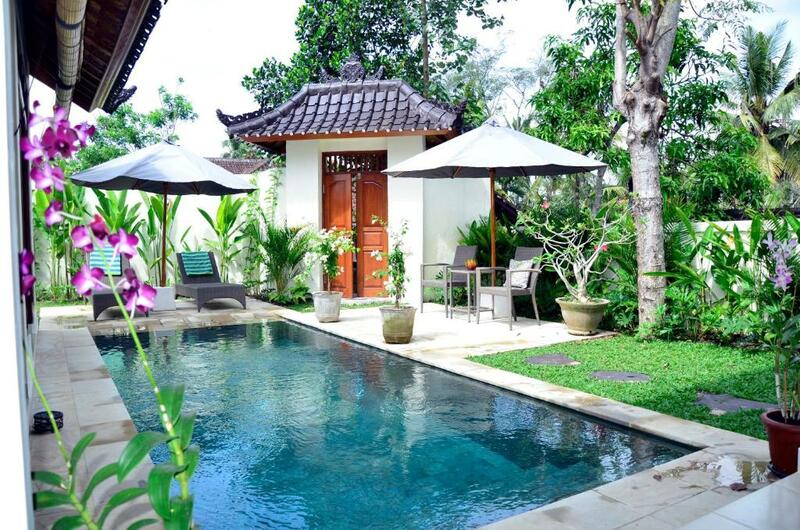 Saraswati Temple is a 15-minute walk from the villa, while Ubud Market is one mile from the property. 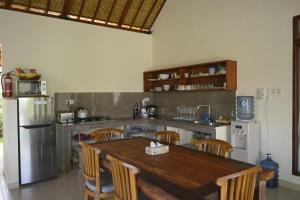 The nearest airport is Ngurah Rai International Airport, 24 miles from Villa Hijau. 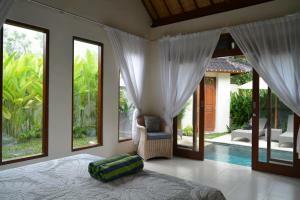 When would you like to stay at Villa Hijau? 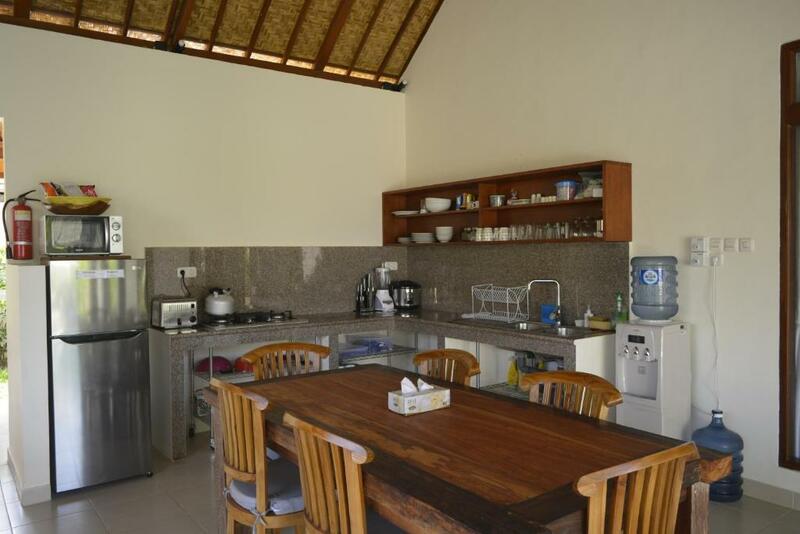 This villa has a dining area, kitchenware and seating area. 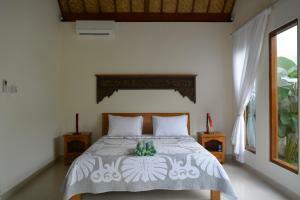 Villa Hijau is one of the properties in the Private Ubud Villas group. This 2 bedroom villa has all of the usual amenities that you would expect from a private villa - Ensuite bathrooms, large living room, dining room and kitchen, swimming pool, tropical gardens, ceiling fans throughout, airconditioned bedrooms, hot water, fast fibre optic wifi, cable TV and lots more. You will love your private villa holiday. I've lived in Bali for the past 18 years. It is my home and I love it. I am keen for everyone on holidays to appreciate it as much as I do. In my spare time I travel, write, paint and socialize. Travelling lets me see how other people organise the management of their properties. This always gives me ideas on how we can become even better. Penestanan borders on the edge of Ubud. It is a great village with heaps of good cafes and restaurants, art shops, yoga and meditation centres and great rice paddies to explore. We're only a 20 minute walk from the centre of Ubud and all the attractions there. House Rules Villa Hijau takes special requests – add in the next step! Villa Hijau accepts these cards and reserves the right to temporarily hold an amount prior to arrival. The rooms' and bathrooms' floors could be cleaner. The location is a bit remote and unaccessible by car, therefore it can be tricky with the baggages. Lopo helped us with the baggages, so it is just a remark for the future tenants.